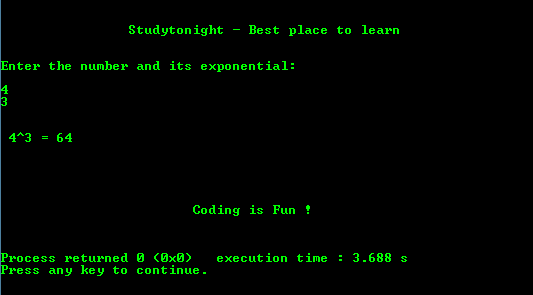 Below is a program to find exponential without using pow() method. long long int is of double the size of long int. %lld is the format specifier for long long int.